PopUp WordPress plugin by Supsystic lets you easily create elegant popups in couple of minutes. 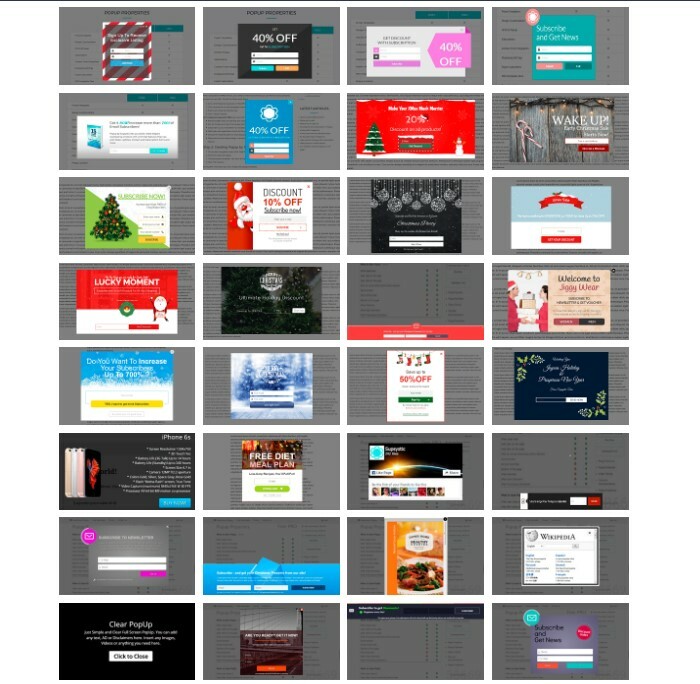 Our designers have created 69 preset templates for your popups! Here are just some of them, but you can find more examples in the PopUp Examples.